Improving pollination and fruit set in highbush blueberry is a major area of focus in our blueberry research and outreach program. We have primarily focused on biological approaches to improve fruit set, berry size, and yields, but have also studied the role of different chemical nutrients on improving fruit set, berry retention, and yield. Please see the following final and progress reports for information. Arrington, M.A. and DeVetter, L.W. 2018. Increasing honey bee hive densities promotes pollination and yield components of highbush blueberry in western Washington. HortScience. 52(2):191-194. Arrington, M. and L.W. DeVetter. 2017. 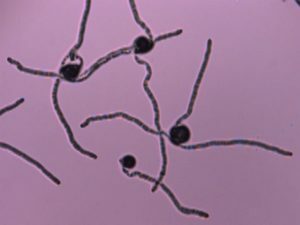 Foliar applications of calcium and boron do not increase fruit set or yield in northern highbush blueberry (Vaccinium corymbosum). HortScience 52(9):1259-1264. DeVetter, L.W., S. Watkinson, R. Sagili, and T. Lawrence. 2016. 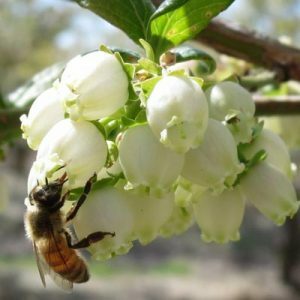 Pollination by honey bees is limited in northern highbush blueberry production in Washington State. HortScience 51(10): 1228-1232. Arrington, M. and L.W. DeVetter. 2016. 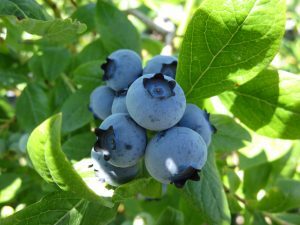 Fruit set improvement of highbush blueberry (Vaccinium corymbosum): A review. J. Amer. Pomol. Soc. 70(3): 124-137. Learn about our most recent results by accessing the video presentations below. Information is presented by Weixin Gan (MS Student) at the WSU Small Fruit Conference.